Contemporary glass and stainless steel toilet brush sets for floor or wall mounting in a satin brushed finish. 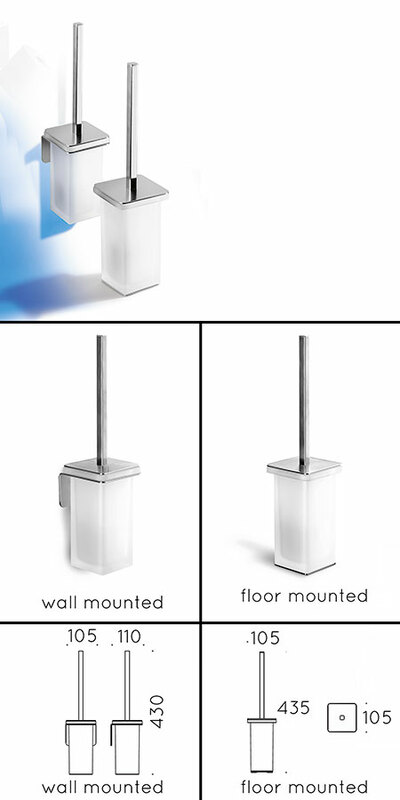 The wall mounted toilet brush and holder has the unique selling point of being permanent self-adhesive fixed which is ideal when mechanical drilling is not preferred eg. on very hard or expensive tiles. * Floor or wall mounted.